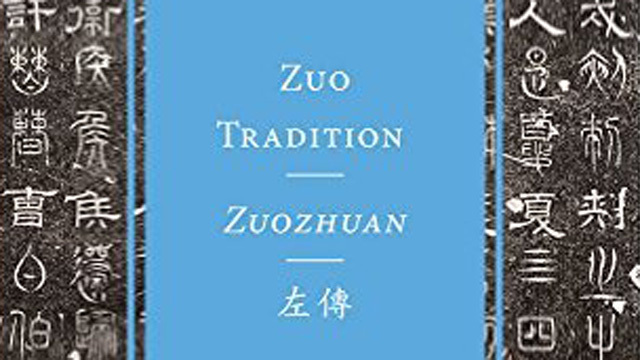 On the occasion of the publication of a new translation of the Zuo Tradition/Zuozhuan: Commentary on the Spring and Autumn Annals, in the Classics of Chinese Thought series of the University of Washington Press, UCLA is hosting a conference with leading scholars to consider the work in relation to other texts thought to have been composed or compiled during the Warring States period. Even as recent archaeological discoveries have shed new light on the origins of the Zuozhuan, ongoing scholarship in the several historical and philological fields of Early China studies has continued to underline the central importance of this definitive text. Conference participants will reflect on Zuozhuan’s origins, on its links with other texts of the time (e.g., philosophical, historical, legal, ritual), or more generally on its status as a product of and reflection of its era. Those who RSVP for Saturday will be sent readings and/or discussion questions in advance. The UCLA Taiwan Studies Lectureship is a joint program of the UCLA Asia Pacific Center and the Dean of Humanities and is made possible with funding from the Department of International and Cross-Strait Education, Ministry of Education, Taiwan, represented by the Education Division, Taipei Economic and Cultural Office in Los Angeles. The organizers wish to acknowledge the generous support of Agnes Lin.